Dr. Heather Houser joins us from Massachusetts, where she attended veterinary school at Tufts University. Dr. Houser has moved around a bit – both in the U.S. and internationally – and is excited to now call Washington home. Dr. Houser earned her undergraduate degree in Economics and International Studies at Rhodes College in Memphis, Tennessee. Following graduation, she completed a fellowship with an anti-hunger non-profit in Washington, D.C., where she discovered a passion for livestock and food security. 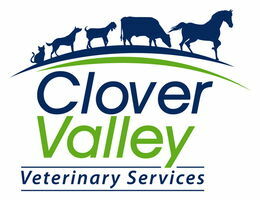 Dr. Houser worked at a small animal hospital and an equestrian center prior to attending veterinary school. Dr. Houser loves the variety of mixed animal practice and continues to be amazed by the power of the human-animal bond. She enjoys seeing all species and is especially interested in behavior, anesthesia and pain management, dermatology and internal medicine. In her free time, Dr. Houser enjoys hiking with her terrier mix, Gus, playing board games, and exploring the Kitsap Peninsula. She is currently in search of the area’s best cappuccino.